RUSH: I’ve met Harold Ford Jr. He’s a nice guy. I was on a panel with him, and the Speaker, Willie Brown, California state assembly, was out at a Milken event at the Beverly Hilton hotel in Beverly Hills, the hotel that Whitney Houston died in, the hotel that Merv Griffin used to own. And I flew out there for this thing. Milken had requested I go, and I was on the panel with Willie Brown and Ford. It was the first year of Obama’s president, first or second year. And I forget who else. Frank Luntz and his Keds tennis shoes was moderating the panel discussion, making jokes about people’s flies being open. And of course I was the only one in the whole ballroom saying what I said, thinking what I thought. Milken loved it for that reason. Made it not milquetoast. But Harold Ford, we had dinner beforehand. Well, they ate; I didn’t. I never eat before going on stage. But he was as nice as he could be. He was very forthcoming. It was like the second or third time I’ve been around him. “A woman who was interviewed as part of the company’s HR probe separately told HuffPost that Ford harassed her one evening in Manhattan several years ago. 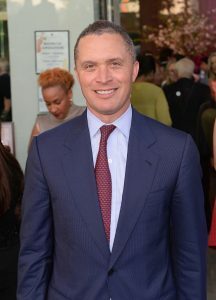 Former Democratic Congressman Harold Ford Jr. has been fired for misconduct by Morgan Stanley after facing a human resources investigation into allegations of misconduct, a company spokeswoman confirmed. ‘He has been terminated for conduct inconsistent with our values and in violation of our policies,’ a spokeswoman for Morgan Stanley told HuffPost in an email. “At least one woman, who is not a Morgan Stanley employee but interacted with Ford in a professional capacity, was interviewed by Morgan Stanley’s HR department as part of the investigation. In two interviews with HuffPost, the woman alleged that Ford engaged in harassment, intimidation, and forcibly grabbed her one evening in Manhattan, leading her to seek aid from a building security guard. You know that’s become the new standard of proof? So woman A alleges that reprobate B harassed her. The media says, “We want proof.” Woman A says, “Talk to my friends. I reported it to them the moment it happened.” So the media calls the friend of woman A, and the friend, “Oh, yeah. I remember. She called me within moments of this happening, and she said blah, blah, blah, blah.” And then they go to the second or third friend of woman A, and then the media goes back to reprobate B and says, “We got you, bud, we got you. She has just had the story confirmed by two of her best friends.” That has become the new standard, for better or worse. So the pressure now once again returns to the special counsel Robert Mueller. Gotta do something to change the narrative, ’cause the news continues to be dominated by Democrats in a very unfavorable way. So all this keeps popping up and all this keeps happening and yet Donald Trump remains the focus, the objective has never changed and the energy behind it has never wavered. Get rid of Trump. You know what? As I pointed out in the last hour, some of the people joining the get rid of Trump area are people who are as conservative as you and me who I think just got caught up in the whole “we gotta rid of Trump ’cause we gotta get rid of Trump.” Why? “Well, we just have to.” Yeah, but why? “Well, because. We just do.” Yeah, but why? Have you not noticed all of the things that you otherwise in life support that are happening and getting done? “I don’t care. We gotta get rid of Trump.” Why? “Well, because. I’m a Never Trumper, we gotta get rid of Trump.” It’s become its own organism. It’s been out there for so long people join the movement just because the movement exists, and at the beginning of it, it seemed like the right thing to do.